Amazon's discount brings the 2018 MacBook Air decently close to the retail price of the old model. Amazon is selling the latest 128GB MacBook Air for just $1,059, which amounts to $140 (or 12 percent off) the regular retail price of $1,199. You can only get it at this price in silver, but fortunately the space gray model is also on sale for an agreeable $1,069. Not bad. If Amazon had chopped the price down just $60 or $70, that’d be how much it’d cost you to buy the previous-generation MacBook Air at retail price. I personally like the new model. I prefer the slightly inclined design over the flat expanses of the MacBook Pros, and I like the extra room and extra USB-C port it provides over the smaller 12-inch MacBook. I even like the keyboard, which has the same membrane-padded butterfly design of the 15-inch 2018 MacBook Pro. That makes it quieter than the 12-inch MacBook, and for me, the tiny bit of resistance makes it more pleasurable to write on. But you might not feel the same. The new MacBook Air lacks the many ports of the old model, and it lacks the punchy keyboard with high key travel that made the previous model so popular. It even lacks the glowing Apple logo that’s still a familiar sight in many press rooms. All the same, this model is much faster and comes with nifty features such as a Retina display and Touch ID. 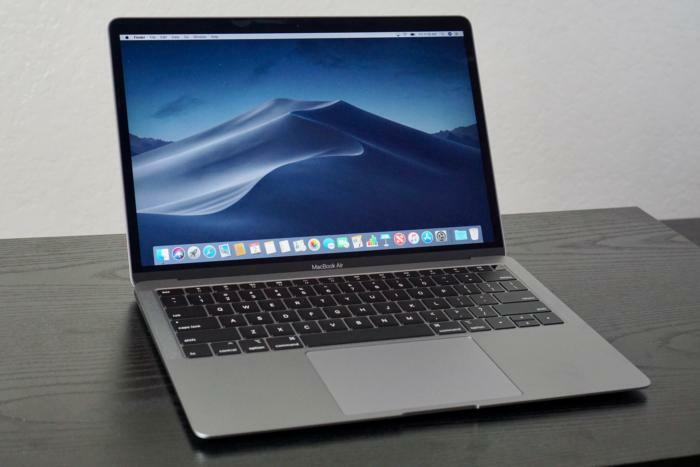 As we said in our review last month: "If you’re familiar with the 12-inch MacBook, using the new MacBook Air makes it immediately obvious that this is a slightly updated and scaled-up version of that model, with the “Air” name attached. If you’ve been waiting for years for Apple to finally re-imagine the MacBook Air in a way that will once again revolutionize the thin-and-light laptop market, you’re going to be disappointed to find that it has only been brought up to the standards of other modern Mac laptops, with all the good and bad that goes with that."